← Do Children Know How to Educate Themselves? Yes, both consummate sacred musicians George Frideric Handel and Giovanni Pierluigi da Palestrina were at the 2019 March for Life! I am guessing that this was yet another record-setting precedent for the annual March which attracted hundreds of thousands of people once again! Where were these composers? You will have to read to the very end. 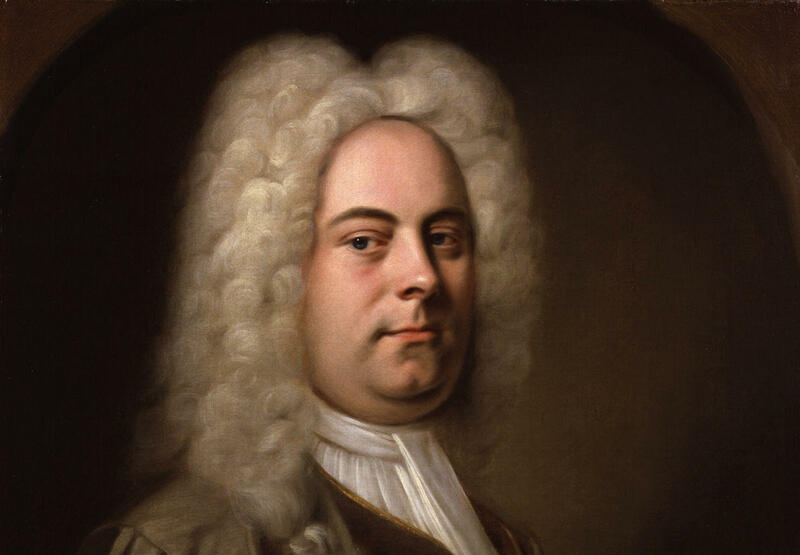 Is there a better way to confront the ugliness of culture of death than with beauty (and I am not referring to Handel’s hairdo)? If there is one thing certain about the culture of death it is this: it is ugly! By contrast for the hundreds of thousands (Was there a half million? 650,000? Who will ever know?) of people who attended this year’s March For Life in Washington DC, one fact was assuredly apparent to everyone. The marchers were predominantly young and enthusiastic. Their joy was infectious! It was the joy that emanates from those whose souls are inclined towards Goodness and Truth. No one who attends the March For Life can escape the wonderful feeling that comes from being in the presence of a vast crowd of souls which are disposed towards goodness! Wherever I looked, I kept saying to myself, “There is another friend,” or “There is another person I should know.” Goodness is diffusive. It is also very attractive! Granted there were a few pro-culture-of-death protesters on the sidelines who served to remind anyone who happened to see them more vividly (although I missed them entirely) of the ugliness against which they were marching. Everyone who attended the March most assuredly returned home with renewed energy and confidence. Each returned home knowing that one day beauty will prevail! Now, for the sixty-five or so marchers from our school in South Euclid Ohio, the March was a non-stop celebration of that beauty which will prevail. On Thursday morning, the day before the March, the students, refreshed from their long bus ride, proceeded to the historic and beautiful church of Saint Dominic . Apparently, a stained glass window of Saint Joseph was donated in 1875 to the Church by Ellen Ewing Sherman, the wife of none other than General William Tecumseh Sherman! As it was a Mass in the Extraordinary Form, the students sang the gorgeous Missa Brevis by Giovanni Pierluigi da Palestrina, the famous Victoria Ave Maria, and of course their signature communion motet Sicut Cervus! That afternoon, after breaking into smaller groups that respectively toured various places like the Capitol, the Holocaust Museum, and the Museum of the Bible, the school converged at Mt Vernon! I can’t think of a more fitting way to prepare for marching in defense of the sacredness of human life than by singing at Holy Mass and revisiting the life and home of our nation’s first president, who was by all accounts a president that held that all life should be held sacred. Returning to Washington later that evening, we were just in time to attend the Annual Rosary for Life in the Crypt Church of The Basilica of The National Shrine of The Immaculate Conception! The rosary was led by the Most Reverend David Allen Zubik, Bishop of the Diocese of Pittsburgh. Before each Hail Mary, the name of one of the states was announced, and an individual candle was lit, until all fifty states had been duly singled out for prayer! The next morning, students and their chaperones once again returned to St Dominic’s Church for Holy Mass in the Extraordinary Form. This time, however, as the main church was already being used by a larger group of marchers, our smaller group was able to hear Mass at the smaller chapel used by the Dominican friars for their community prayers. Now everyone was prepared properly for the March! By God’s providence it was a lovely day in D.C. with sun and milder temperatures than is sometimes the case. We made our way to the rally and of course, because of the enormous throng that had beat us to the Mall, we were among the throng that could hear the thunderous roar of those who cheered the speakers. Now anyone who has been to the March for Life knows that the chief difficulty of marching as a group of, say, more than two people, is simply staying together. Everyone who has attended knows that aside from being strapped together there is almost no way not to experience a separation from one’s group simply from the sheer movement of the vast assemblage. It was fairly tough to stay together even when standing still at the rally! But as we began to march, our students found a way not only to stay together, but also to make a fitting contribution to the peaceful witness in support of the unborn! They sang! Now I confess that I was a bit skeptical about singing during the march. As a choir director, I know that it is difficult to sing outside. It is also fairly challenging to sing anything but perhaps the most well-known hymns or songs (e.g. Happy Birthday, a verse of Amazing Grace or the National Anthem) without music! So what did these students sing without any music whatsoever? For starters they began with the full Hallelujah Chorus from Handel’s Messiah! I thought that was a fitting thing to sing on Constitution Avenue simply as a reminder that it is Our Lord who is the King of Kings. It is He that shall reign for ever and ever! Of course, we repeated the pieces which seemed to go especially well. Naturally, the more “monophonic” the music is, the better it blends and stays together in the midst of a vast crowd. But I was amazed at how well all of the music could sound even while sung by students on the march! I will never forget the 2019 March for Life, nor will, I think, our students. They marched for those who could not. They lent their feet in witness to life. But they also lent their beautiful voices and demonstrated, like so many other young people at the March, that life is beautiful! This entry was posted in beauty, catholic education, education, Fine Arts, Music, Sacred Music and tagged Crypt Church National Shrine, Handel, Life, March for Life, Palestrina, Saint Dominic's. Bookmark the permalink. 1 Response to Palestrina and Handel March For Life!